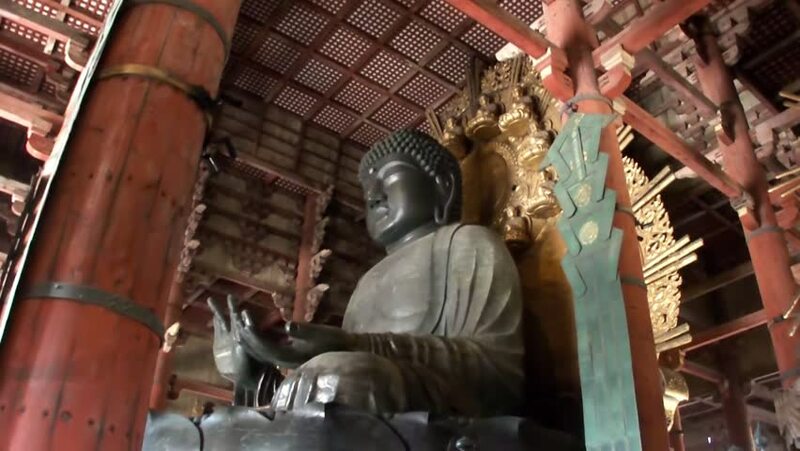 NARA, JAPAN - MARCH 28: The world's largest bronze Buddha statue in Todai-ji Temple March on 28, 2014 in Nara, Japan. The temple is a listed UNESCO World Heritage Site. sd00:57KUALA LUMPUR - OCTOBER 25, 1999: MS workers in hardhats lashing iron rods together. hd00:17Ancient bronze and brass mythological sculptures and artifacts, Rudra Varna Mahavihar, unique golden buddhist temple in Lalitpur (Patan). World heritage site. Tibetan buddhism. Durbar Square, Nepal. hd00:12Man Installs Decorations in the Room. hd00:16MUMBAI, INDIA - 12 JANUARY 2015: Indian man making a bowl out of clay in workshop in Mumbai.